African Vet Safaris offer people the chance to get involved in conservation efforts and go on a life altering experience that wouldn’t usually be available on the commercial market. With elements engaging to both the general public and to those already involved in the veterinary practice your safari can be tailor-made to suit your needs. These safaris come in several different types and provide the irresistible opportunity to gain hands on experience and up close and personal encounters with some of the planet’s most famous and ferocious wildlife. Under the guidance of Dr Peter Brothers Immobilisation Safaris allow a client to get hands on and aid in the vets work with the animals. The immobilisations are carried out on a variety of species, such as rhino, leopard, elephant and lion and are only for conservation purposes. The reasons vary from fitting a tracking collar to health checks or monitoring animal pregnancies and contraception. Clients may also have the opportunity, upon request, to fly in the helicopter with the Veterinarian while the darting takes place. Species Specific Interactive Safaris offer a range of rare activities featuring your choice of wildlife species. 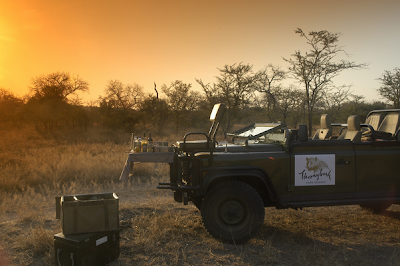 Working closely with researchers, vets and many other experts in the field enjoy a range of diverse experiences, from game viewing to immobilisations to something as unique as tracking your chosen animal in a microlight aircraft. Specialist Veterinary Safaris are the third type of safari presented. These are tailored to those already involved in the veterinary practice and allow for a direct insight to be gained into African wildlife and their world. Safaris are a thrilling experience which should be shared by everyone across the world. Why not book your Safari adventure today with Mahlatini.com. Mahlatini offer family holidays to families across the world who are looking for that adventure of a lifetime. Now, going on an African safari is possible for anybody. It's an excellent way to learn about how animals live. I think African Safari is really an exciting experience since it its educational and fun to see the animals. This is an exciting job!! But at the same the most nerve-racking job as well. Haha! This is such a great idea for tourism, Joy. I wish that something like that could be done also here in the Philippines. It will give both local and international tourists the opportunity to get up close and personal with the diverse fauna here in the country, and hopefully stir up some genuine concern for them so that they will be protected. the reason why we visited the oceanarium last summer because i wanted our youngest kid to see "live animals". those that she could only had seen in cartoons. are these hunting for sport? i have seen many hunting for sports safari internet sites, and they are sick, where sick people hunt wild animals for fun and then brag about their killings, often seen posing with their dead animals, like trophies.